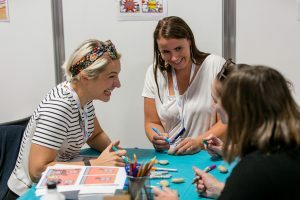 The countdown is on for the longest-running early years and primary education sector event, Childcare Expo Midlands, which will return to the Ricoh Arena in Coventry on Friday 28th and Saturday 29th September. For the ninth year running, leading education experts and top industry suppliers will come together to create an unmissable show. This year’s event introduces several brand-new feature areas, such as the Health & Wellbeing Zone, which aims to promote the importance of nutrition and physical health in the early years, with a programme of activities to provide visitors with new ideas and practical techniques to take away. 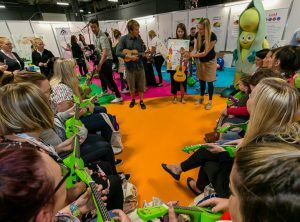 Ben Faulks, best known as Mr Bloom from CBeebies, will be teaching visitors how to play the ‘Healthy Eating Song’ on the ukulele in the zone – while former children’s TV presenter, Dave Benson Phillips will also be coming to the show to entertain the crowds. 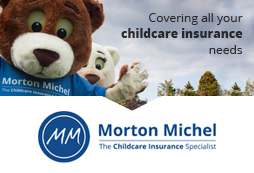 For those seeking business advice, a Business Café will be hosted by the experts from Morton Michel to provide free support and answer any questions visitors may have about their nursery or childcare business, while enjoying a free coffee or cake. Also launching at the Midlands event is an exciting new project called #ChildcareExpoRocks, which gives visitors the chance to let their creative sides out and paint some colourful rocks to take back to their settings, or hide around the country for others to find and tag on social media to show where they end up. Shadow Early Years Minister, Tracy Brabin MP is due to officially open the show at 10am, before giving a free keynote speech in the seminar theatre, where she will discuss her understanding of the early years sector and outline how she believes government policy should work for settings. 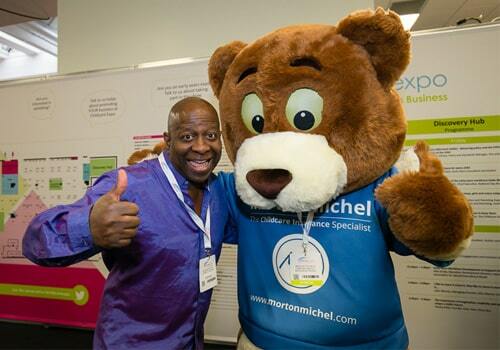 Childcare Expo Midlands promises to present visitors with a huge variety of resources, new ideas, and most of all inspiration to take back to their early years settings and primary schools; helping practitioners continue to develop both personally and professionally, while also providing a great day out. Click here to get your FREE tickets today, or call the team on 01425 838393. Visitors can also pick up their tickets at the show and are welcome to bring their children along; so no need to arrange for childcare. This is the last early years event of the year, so register now to make sure you don’t miss out! Early Years Resources introduce new EYR Workshops How Can We Use Creative and Performative Techniques in the Classroom?